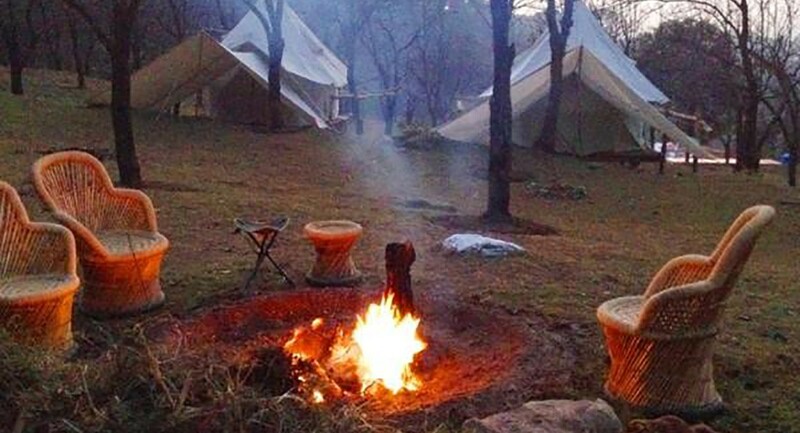 Camping is always a different experience; we do it at Bir-Camp Oak View. Camp Oak view is at 3 km. from Paragliding landing site. 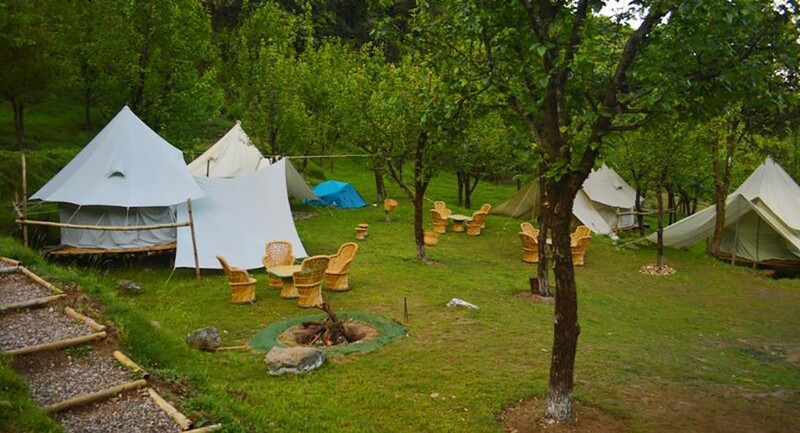 Location of Camping is forest area- forest of Oak, Rhododendron and fresh plantation of Devdara all around. Village Donali, Bari and Ghornala is at 10 minutes walk from camp. Village has old traditional houses constructed with mud, stone and wooden logs. Villagers are farmers and shepherds’. Our neighbor has 40 sheep’s and goats. 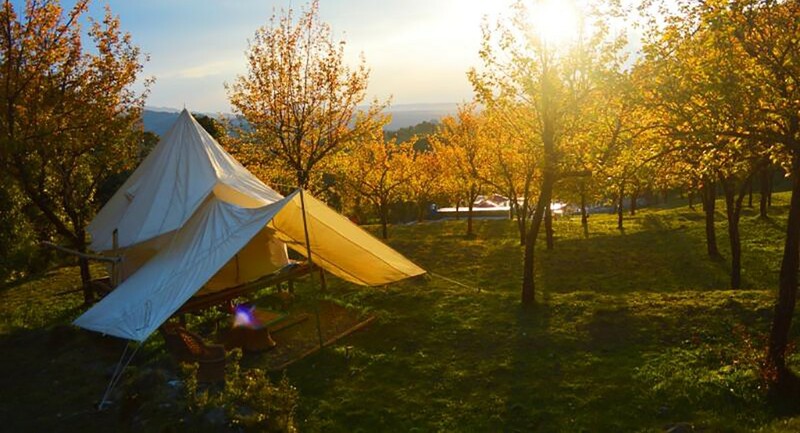 Stay in Camping at Camp Oak View, Bir Billing. 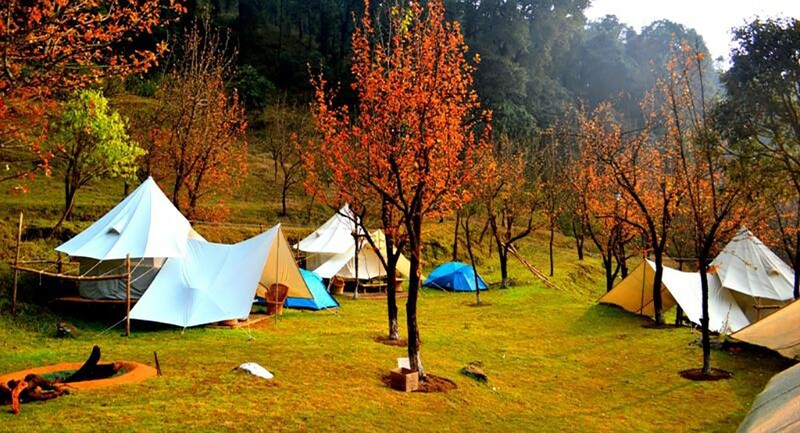 Bir-Billing Valley is the gateway to Tribal part of Himachal Pradesh which is known as Bhangal. Bhangal is the region where semi-tribal people live. This is the region which is not connected with roads as this Bhangal valley is surrounded by high mountain passes over 4500 mt. But the region provides various options of adventure i.e. 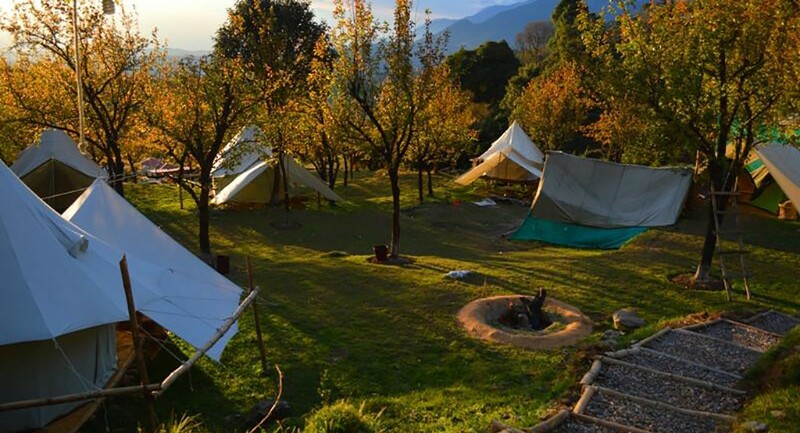 Camping, trekking, mountain biking, paragliding. 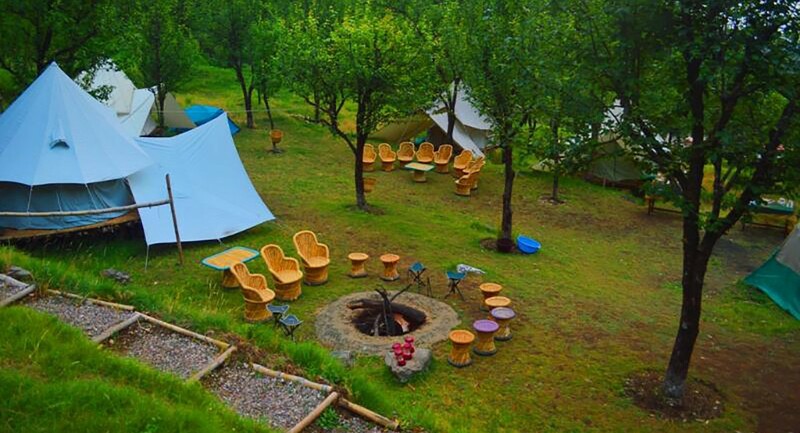 Camp Oak view is located at the edge of Dhauladhar wildlife sanctuary. Sanctuary provide vast diversity of birds, animals, flora and fauna. Forest of the Dhauladhar wild life sanctuary hides many endangered species of birds and animals. 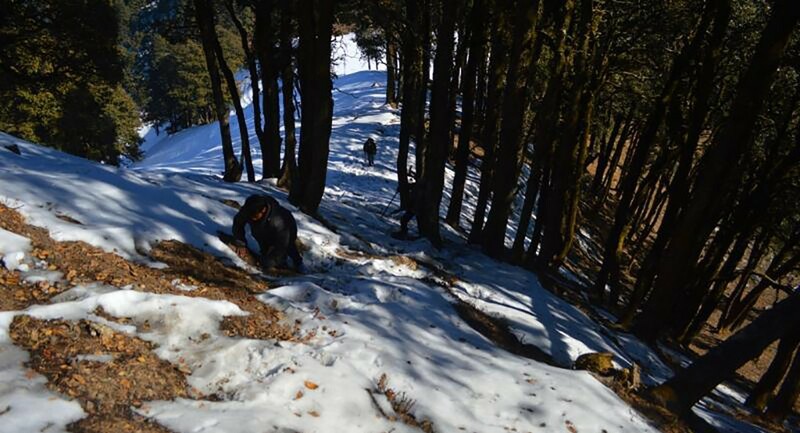 There are many trekking trails in the surrounding. Forest around consist of Oak and rhododendron trees. Camp site is at the distance of 5 min. from nearest village Dhanali and Bari. 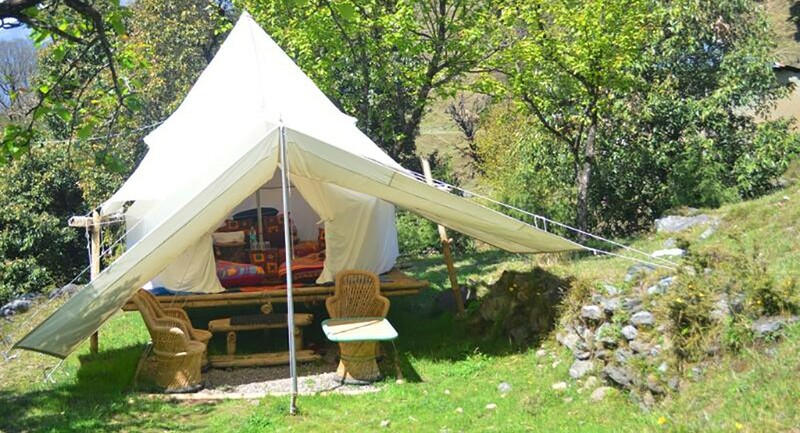 Campsite has 5 Bell tents, 6 separate well-equipped toilets, and 6 washrooms to decompose waste properly at one spot. This will help out for hygiene and eco-friendly environment. 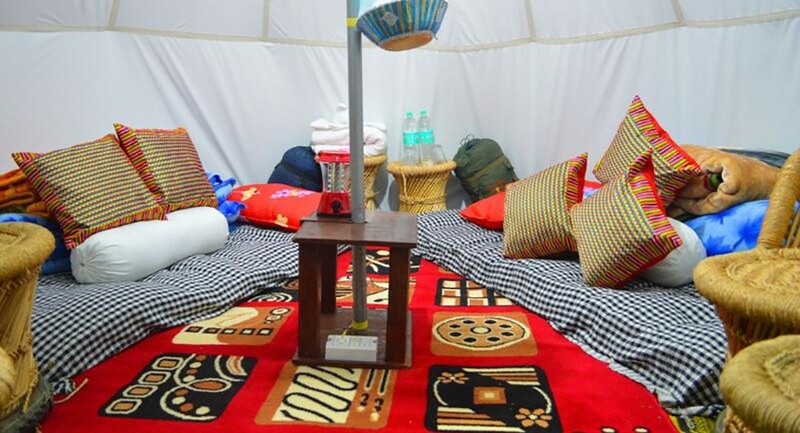 We have options of camping in dome tent. Our in-house cook provides delicious food with the local flavors. Local delicacies of untouched part of Himachal. Live with local people and shepherds.